Across all seven Central Florida locations, our leading oncology specialists combine proven therapies and emerging innovations to achieve patient outcomes that consistently exceed the national average. Your wellness inspires everything we do, from our investment in streamlined care and innovative technologies, to our unwavering commitment to whole-person cancer care. We’re proud to be recognized in these areas as one of the leading cancer hospitals in Florida and in the nation. Many of the services we offer our patients and their families are possible thanks to donors and volunteers like you. With your help, we can continue to serve the community and care for thousands of patients and their loved ones. There’s something new to celebrate every day at the AdventHealth, formerly Florida Hospital, Cancer Institute, whether it’s a groundbreaking clinical trial, an inspiring patient story or an upcoming community event. Care you can count on requires the best minds in medicine. That’s why we partner with leading cancer organizations, giving you the best tools available to beat your diagnosis, once and for all. We believe facts and figures can tell powerful stories. We’re proud to say that our numbers reveal a story of patient outcomes that surpass the national average, time and again. When it comes to cancer, you want nothing less than exceptional care under compassionate leadership. Here, you’ll have just that. At AdventHealth Cancer Institute, we are led by two of the finest leaders in cancer today. Under Mark Socinski, MD, and Heather Fox, our teams work closely together to improve lives and better our beloved communities. As the largest cancer institute in Florida, every one of our seven dedicated Central Florida locations contributes to the strength of the AdventHealth Cancer Institute network. 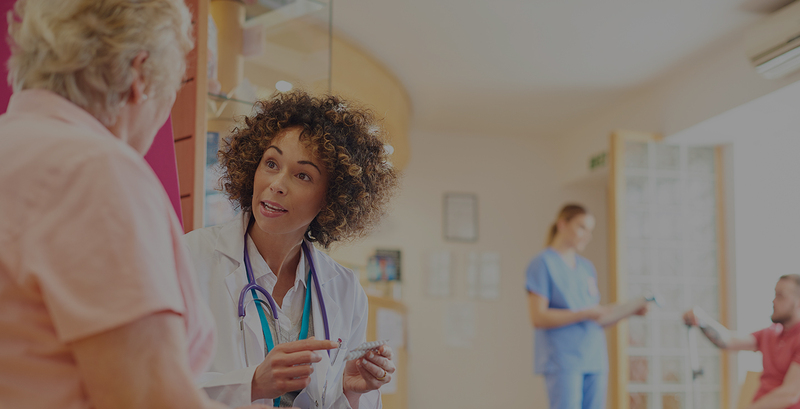 Ask your dedicated Nurse Navigator to help explore your options and find the right fit, so you are in the best setting to get the care you need.